Sept. 18, 2018 — Chris Kiplok always wanted to practice law at a firm where all the lawyers knew and admired each other. As a summer associate, he got to know and admire several Hughes Hubbard lawyers while they worked together on the liquidation of New York City brokerage firm A. R. Baron & Co.
For nearly 20 years, Kiplok has worked with his fellow HHR lawyers on some of the firm’s biggest cases, including the historic liquidations of Lehman Brothers and MF Global, the liquidation of New Times Securities Services (which yielded two landmark Second Circuit decisions) and the defense of Aetna against the estate of scandal-scarred Enron in a billion-dollar litigation. Now, as chair of the Corporate Reorganization & Bankruptcy practice (CRG), he and the group are enjoying a wave of accolades. Earlier this year, Kiplok was named 2018 Dealmaker of the Year by The American Lawyer and 2017 Outstanding Restructuring Lawyer by Turnarounds & Workouts. CRG also won two Turnaround Atlas Awards, which honors the year’s top deals and firms in restructuring. “I think we raised the profile of the practice dramatically, largely thanks to Lehman and MF Global,” he said. But Kiplok prefers to measure the success of the group by the volume of debtor cases it works on. In the past five years, the practice has represented several companies in their Chapter 11 cases, including Republic Airways, Ultrapetrol and CST Industries. The practice also advised DNB Bank in its role as creditor, debtor-in-possession lender and exit financier in GulfMark Offshore’s Chapter 11 case. When Kiplok joined the firm as a full-time litigation associate in 1999, he wasn’t sure which practice area he wanted to focus on, so he followed the work. During his first few years, he spent approximately half his time on securities litigation and the other half on bankruptcy matters. He cherished the friendships he made and the training he received in those practice areas from some of the firm’s towering figures. Kiplok attributes his own success in part to that enduring culture. Promoted to partner in 2009, Kiplok succeeded his mentor James Giddens, who founded the bankruptcy practice nearly 50 years ago, in January 2017, making him only the second chair of the group. 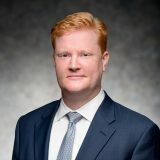 Following the collapse of Lehman Brothers in September 2008 and MF Global in October 2011, the largest and eighth-largest bankruptcies in history, Kiplok led a team with Jim Kobak representing Giddens as the trustee overseeing the liquidation of those brokerages. The Lehman and MF Global teams ultimately achieved full recoveries for former customers of the brokerages and distributed billions of dollars to creditors. During the Lehman and MF Global liquidations, Kiplok was responsible for managing hundreds of people who worked on those estates and keeping them focused on the mission amid endless challenges and distractions. At the height of those crises, he worked around the clock, traveled frequently to Washington to keep the country’s leaders informed and faced insane public pressure as the national press covered every development. Kiplok is grateful for working on two historic matters that helped him become a better lawyer. “It just gave me an unbelievable sense of calm and confidence in the crucible of any challenge – legal, practical or political – that once you’ve done that, there’s no client’s problem you can’t solve,” he said. Kiplok’s performance not only enhanced his skills, but also his reputation. In 2014, the New York City Bar appointed him to serve on its Bankruptcy & Corporate Reorganization Committee, one of the leading bankruptcy bar associations in the country. He was elected chairman of the committee in 2017. He’s also served as chair of the Federal Bar Council’s Bankruptcy Litigation Committee.